Before making arrangements, let us consider the basic provisions SATB the choir arrangements. 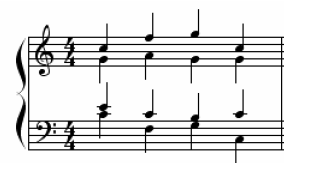 Writing in block notation: Soprano and tenor written stalk upward direction and Alto and bass written stalk downward direction. Sets the tone: The essence of creation is to determine the arrangement based on the chord tone is established. 1. The first priority, the basic tone. 2. The second priority on Kwint tone. 4. Distance tone on each type of voice. 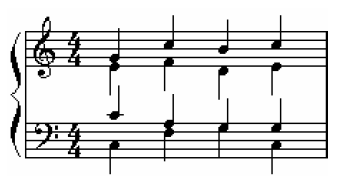 The interval between the soprano and alto tones e1 and c1 is not more than 1 octave, even less than 1 octave, the interval between the alto and tenor tone g and e1 is also less than 1 octave. 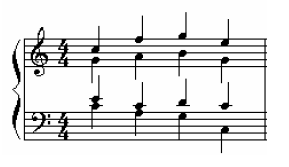 Soprano and alto (SA), this arrangement is usually sung by the choir (choir) women or children. 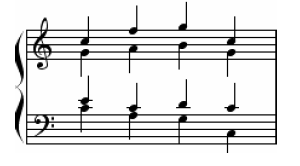 Low noise are not always seen as a bass voice choir therefore, should be accompanied by an instrument to strengthen the low tones. TTBB (Tenor, Tenor, Bass, and Bass) is a the choir sung by a male voice, but the more we come across are male the choir to 3 votes, namely (Tenor, Tenor, Bass) TTB. Make arrangements for mixed the choir (SATB) is basically create a new song. 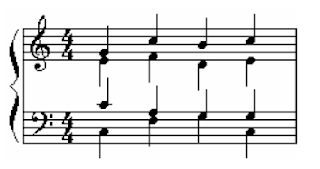 Soprano voice is usually already there and a melodic essence, although sometimes there is also the principal melody laid on another type of sound, it is the exception. Choir is an integral part of a number of performers from several different types of sounds and combine them under the leadership of a conductor. Conductor or conductor is a job leading a group of musicians both vocal music, instruments or a combination of vocals and instruments. To be able to do the job required several requirements such as having a spirit of leadership, knowledge and abilities and skills in the field of music. One of the capabilities required of a teacher is to make the music SATB choir arrangements. To be able to make arrangements choir, the must-have knowledge is to determine the areas of the human voice according to its kind. 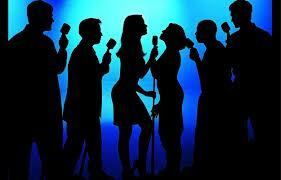 This is important because the arrangements was expected later be sung according to the area of ​​each sound type sound. Each type of voice has the tone and character of the area between different kinds of sounds that one with one another. 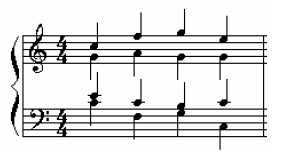 Each area of ​​the tone of each type of sound had a chest voice registers, middle, and head.